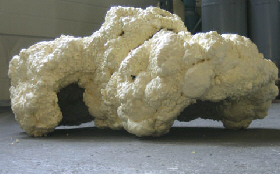 Handi-Foam is a polyurethane expanding foam system, that produces a rigid carveable foam. 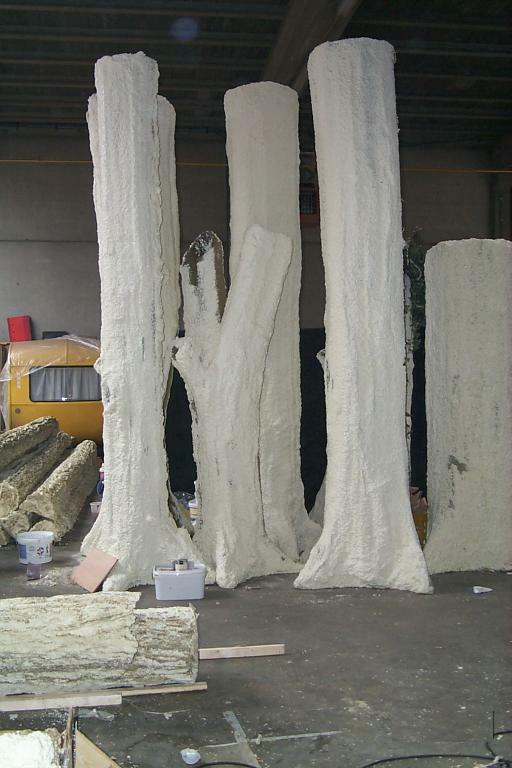 The foam is ideal for manufacturing original film or stage props. The kits are portable making them quick and easy to work with, and simple to transport. Sprayed foam also has the advantage of being very light in weight, which means whatever foam prop you create, is easier to move about and transport. The giant earthworm was created as a prop for a garden centre. The foam prop was manufactured using steel netting for a skeleton and then covered with strips of canvas. The skeleton was then sprayed with Handi-foam and sculpted. After being sculpted, the earthworm prop was sanded and then given a very light over-spray of spray foam for texture. 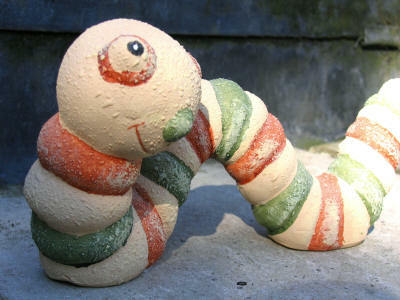 Last but not least, the earthworm was painted. One of the great advantages about Handi-Foam is that if you make a mistake, you can simply spray over the section and redo it. Handi-foam is ideal for both relief and 3D sculpture. The sprayed foam sticks to most surfaces including metal, wood, bricks, concrete and tiles, making it easy and quick to apply. The sprayed foam hardens within 3 to 5 minutes, which means there is no delay to your schedule.